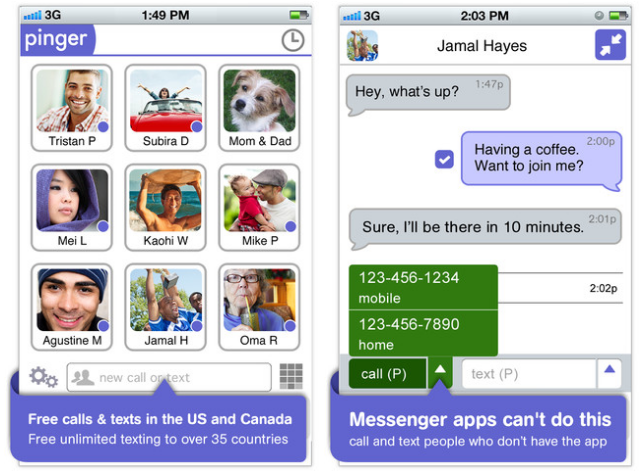 Pinger is a free calling and texting service that is largely popular in the US. Today, it's increasing its reach into Canada. Currently, it is available for only the iPhone, but will become available for Android soon. When you sign-up, you'll receive a phone number, with a warning saying you can't use this to call 911. 100 minutes costs $1.99 for calling outside of North America, with free texting in 35 countries. As this is a free service, it is ad-supported. You can call with your cellphone's data service, or on Wifi. UPDATE: Try it on Android now!